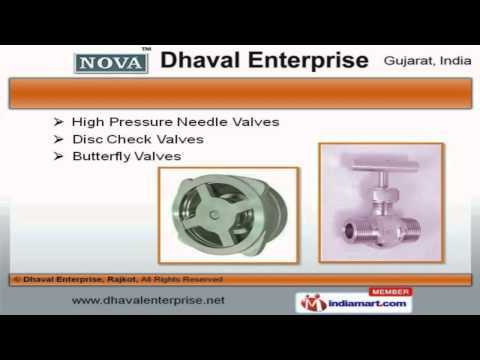 Welcome to Dhaval Enterprise, Manufacturer and Supplier of Industrial Valves and SS Pipe Fittings. The company was incepted in 1998 at Rajkot. Our products are applicable in Petrochemicals, Chemical and other industries. Corrosion, Seamless finish and easy fitting make us the first choice of our clients. We offer a wide assortment of Ball, Needle and Check Valves. Our Flanged Ends and Forged Steel Ball Valves are best in the industry amongst others. We offer Disc Check and Butterfly Valves that are widely appreciated in the market. Screwed Ends Ball Valves and SS Pipe Fittings offered by us are acknowledged for their functionality. Along with that we offer Investment Casting Pipe Fittings and Flanged Ball Valve for Chemical Industry that are a class apart. We also provide Cast Iron Valves for Food Industry that are extremely reliable.